Sam & Ivan first got in touch with me last year August and I remember that awesome email I received from them. Ivan was following me on Instagram and I remember how embarrassed I was because I was following him back, I waited a few weeks and hoped my follow back would go unnoticed. If you are on Instagram, go check out Ivan’s account, here. 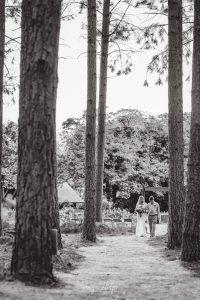 He posts some amazing shots of his adventures with Sam and his current home, Vietnam. 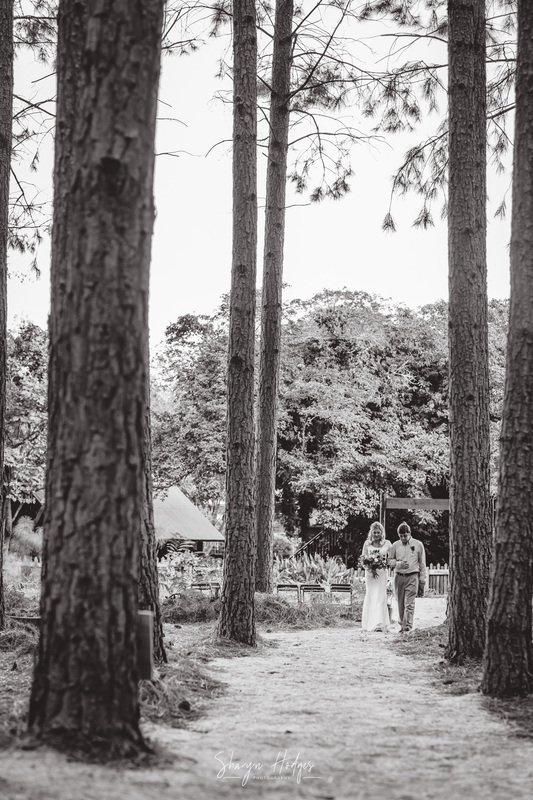 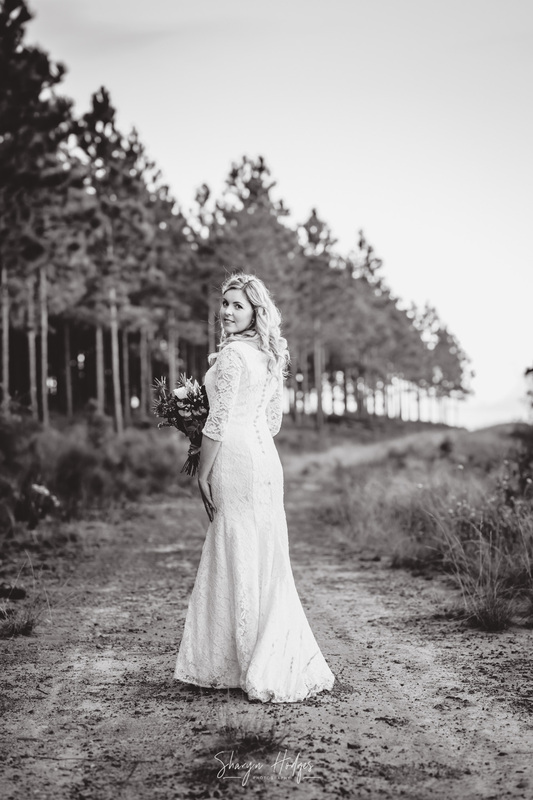 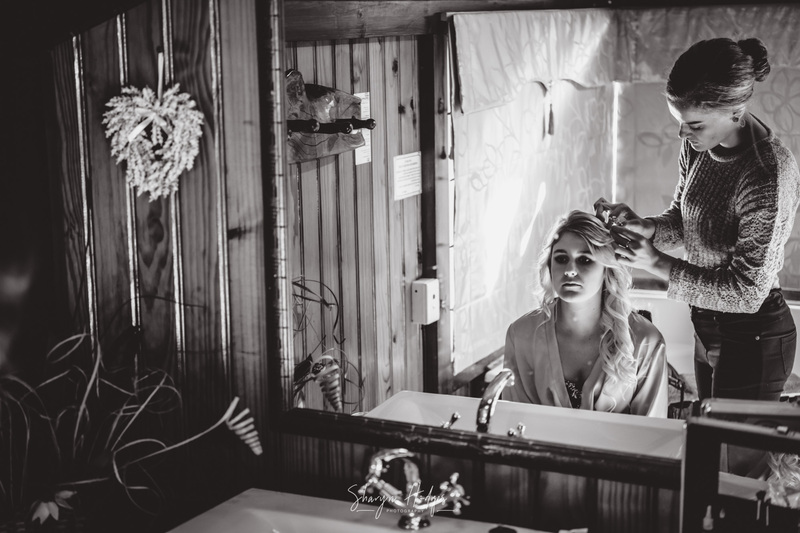 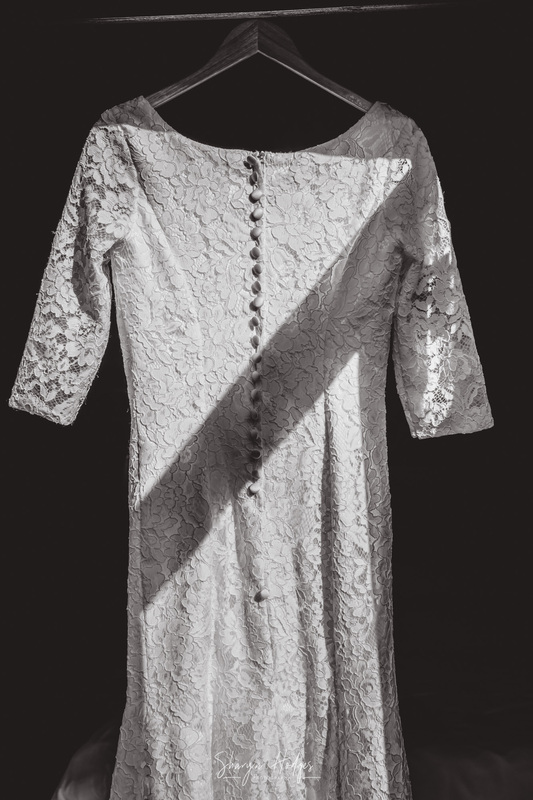 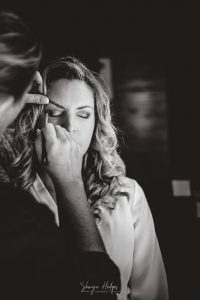 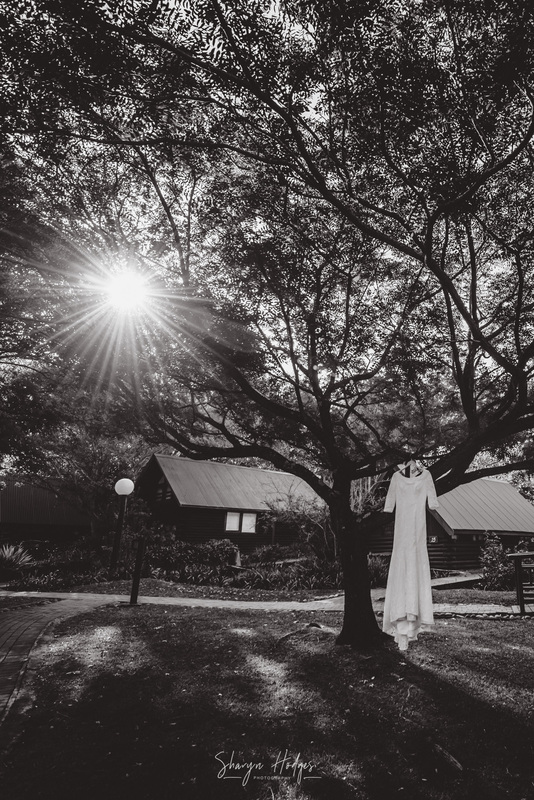 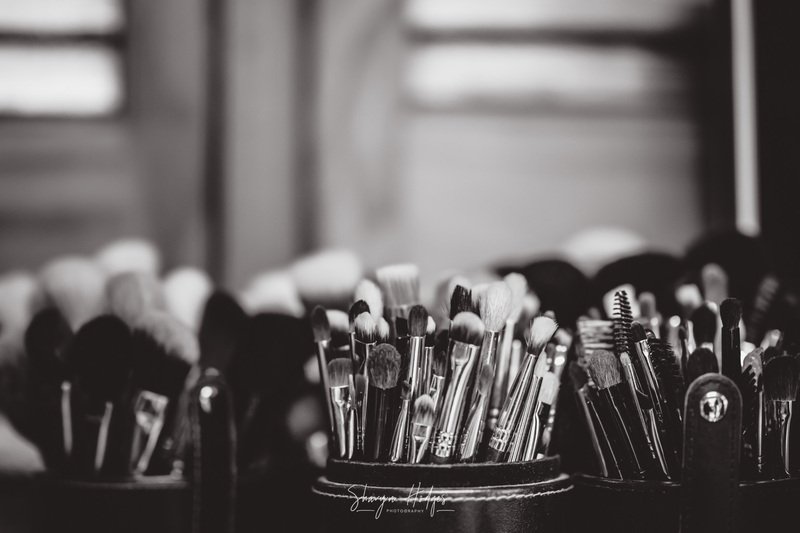 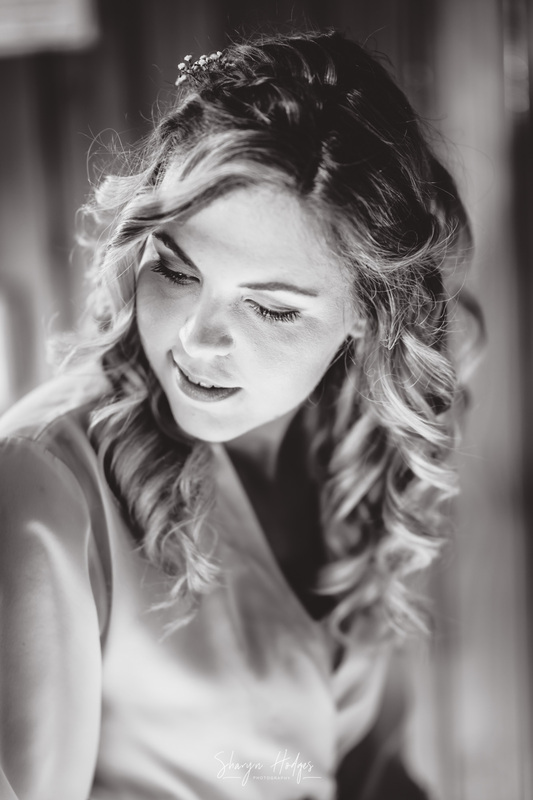 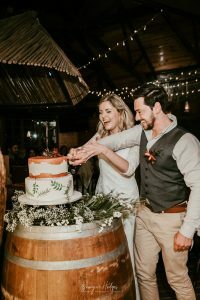 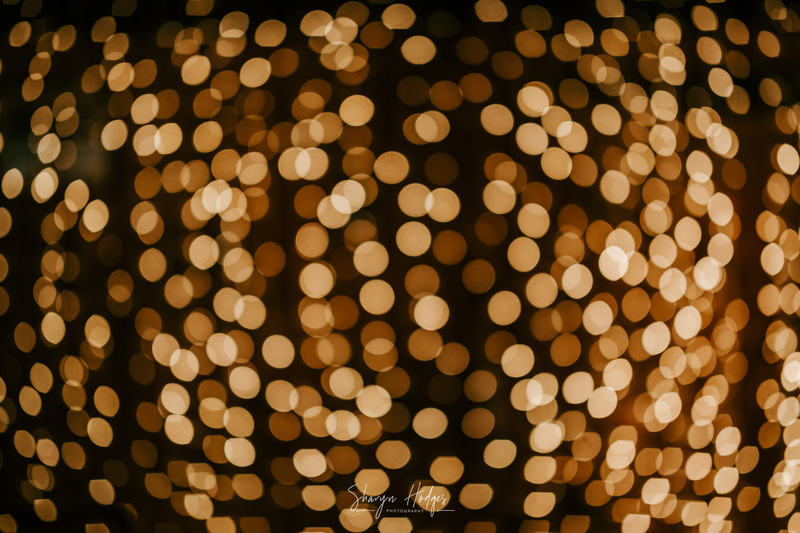 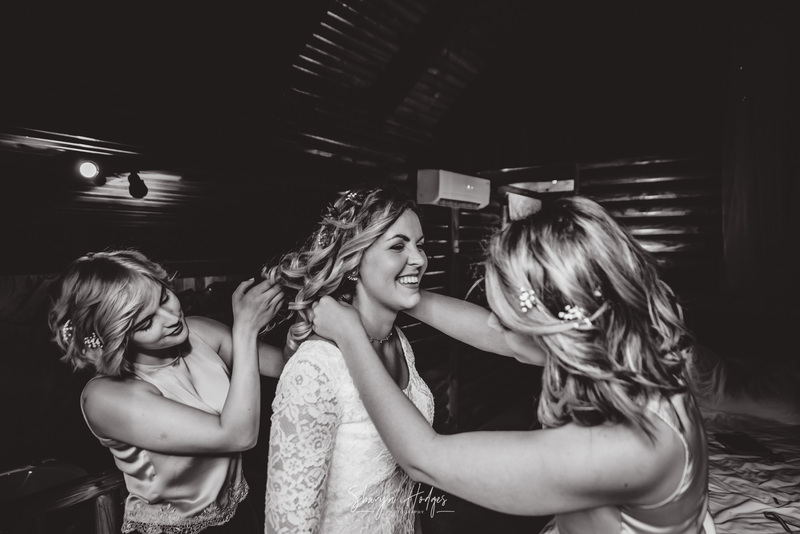 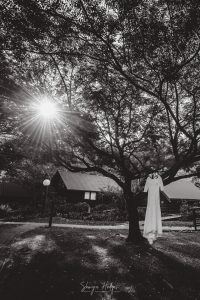 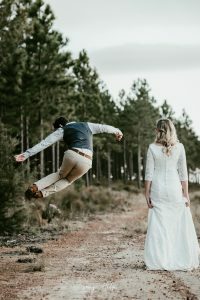 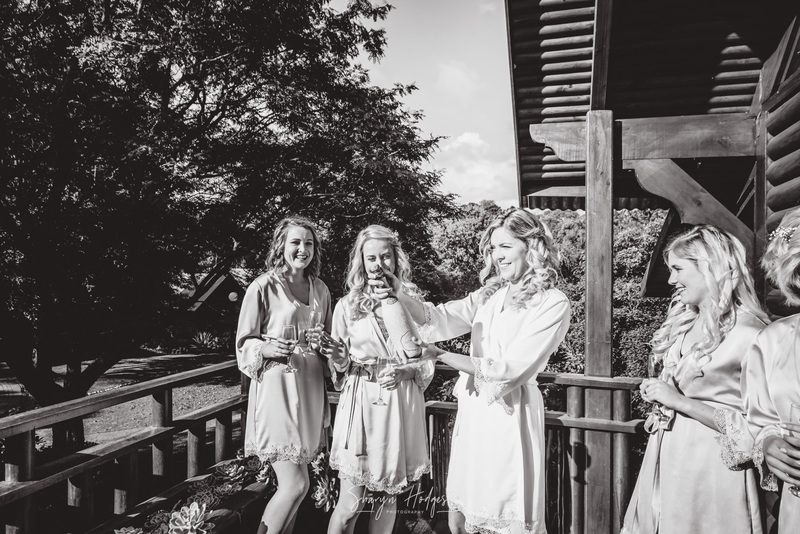 Although I have photographed at the Tsitsikamma Lodge & Spa before, never have I done a wedding. 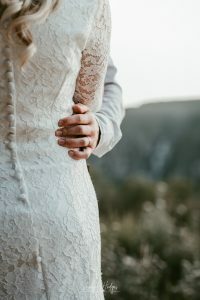 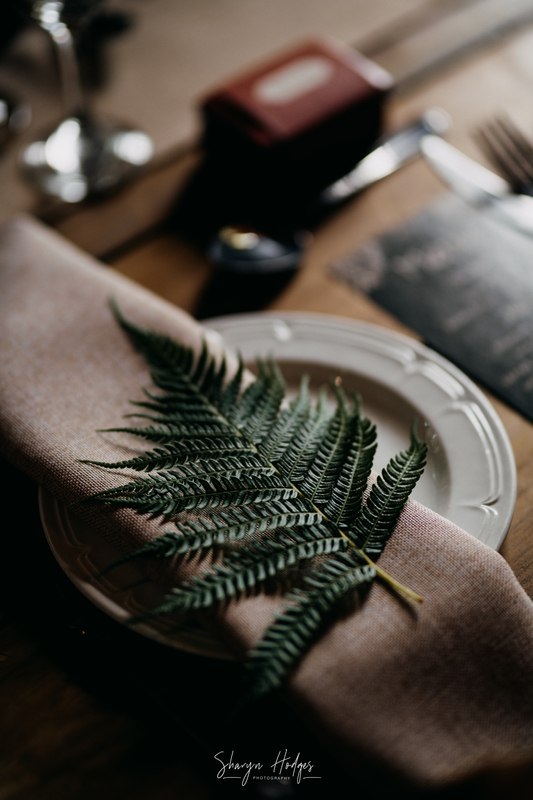 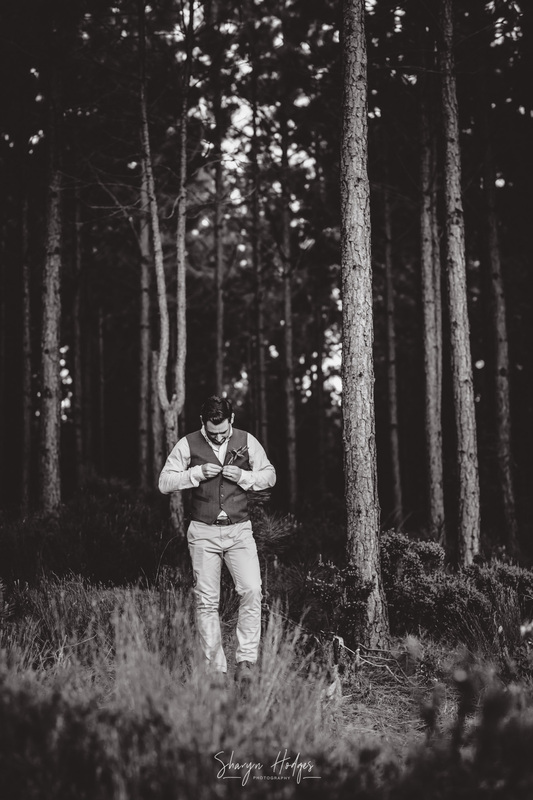 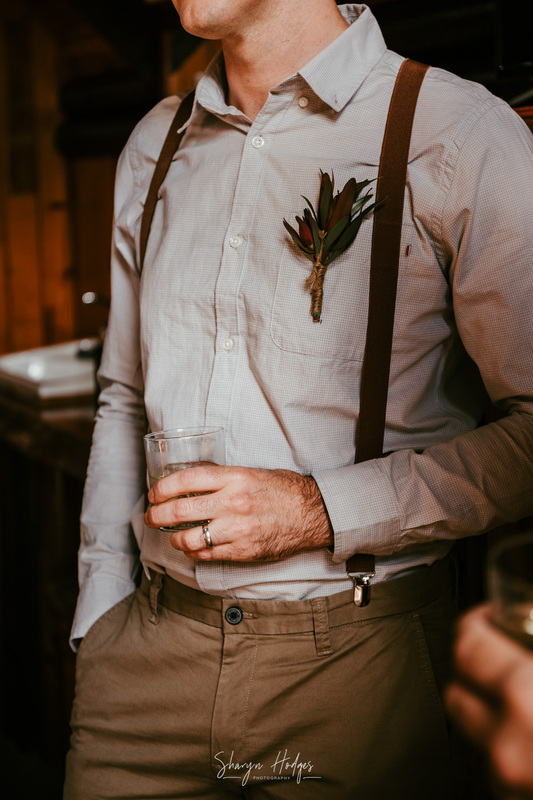 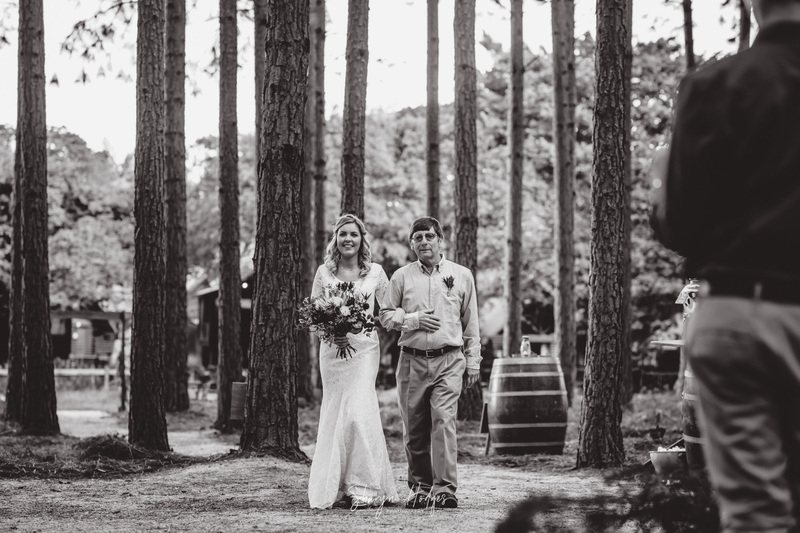 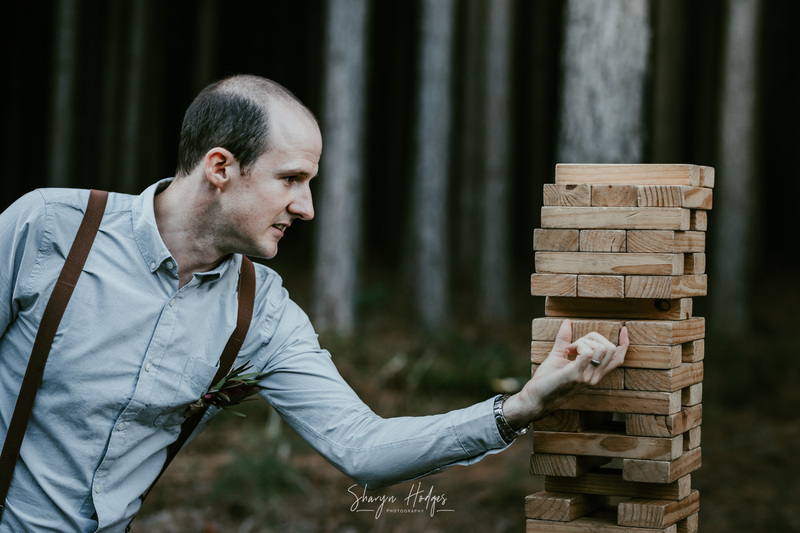 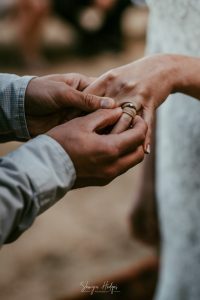 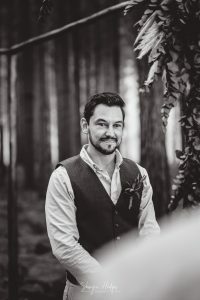 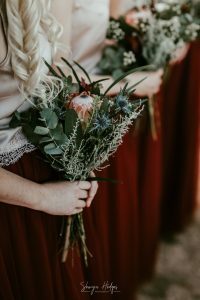 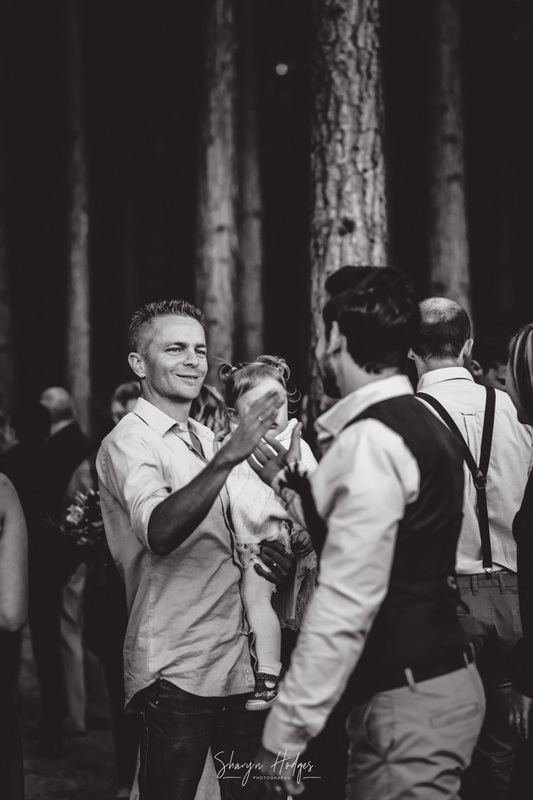 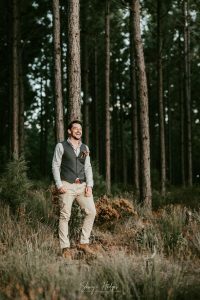 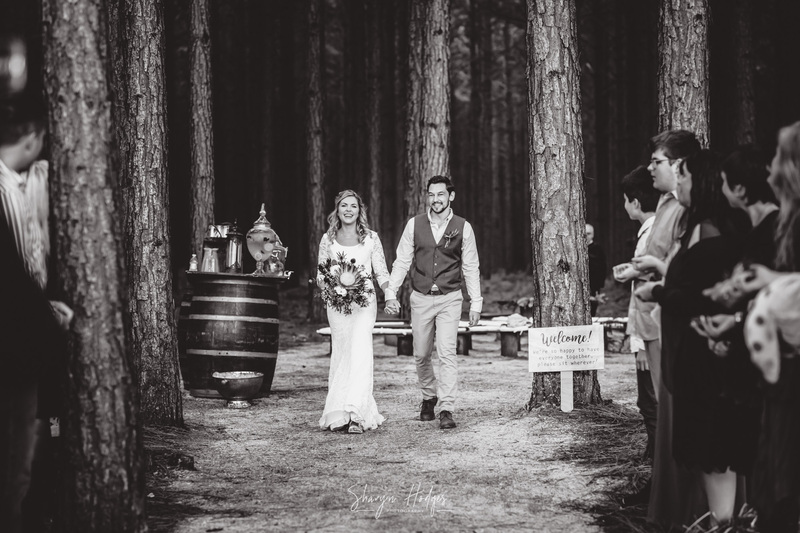 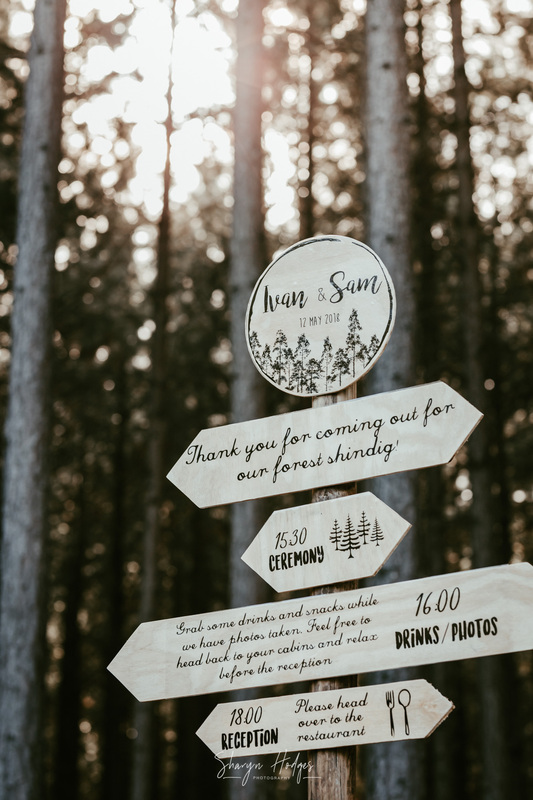 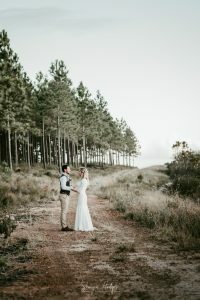 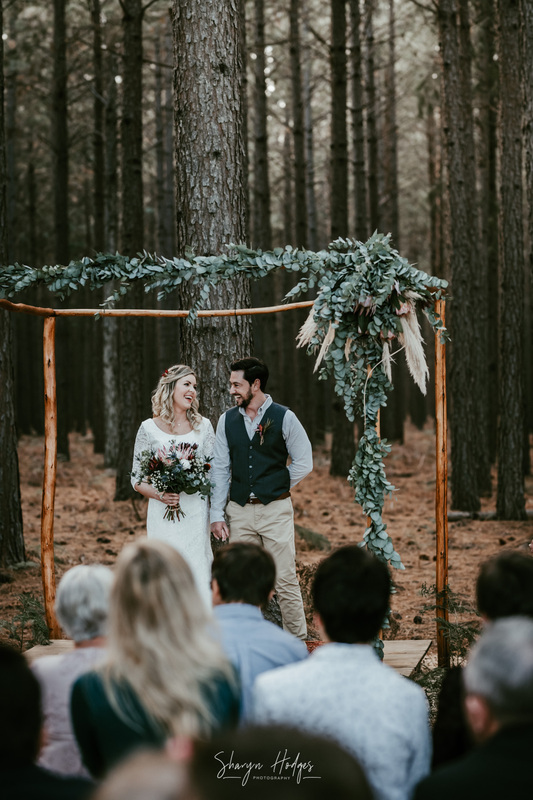 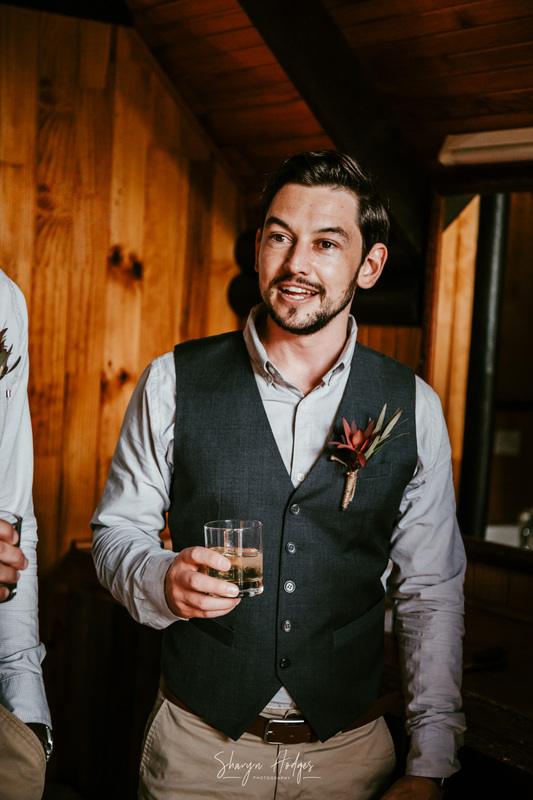 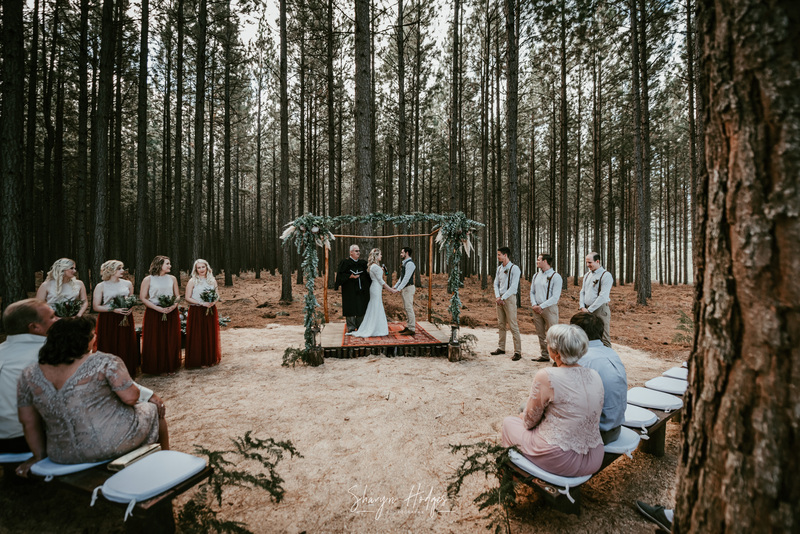 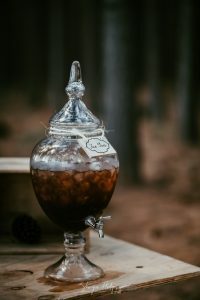 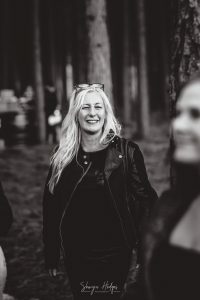 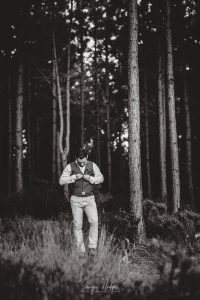 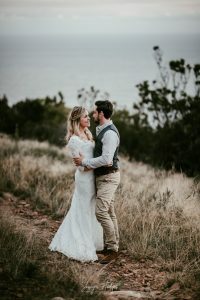 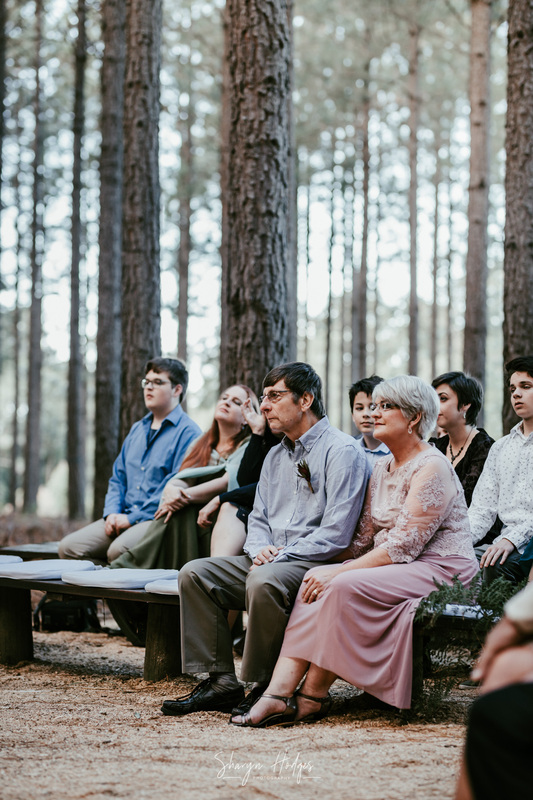 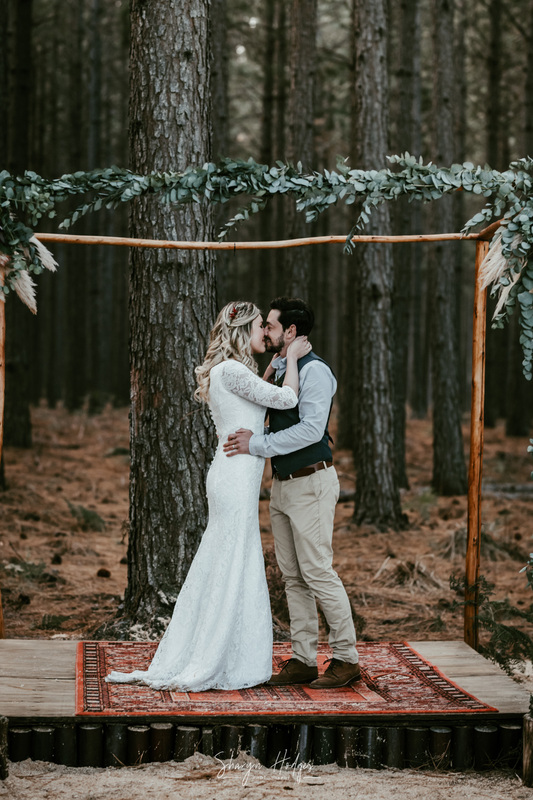 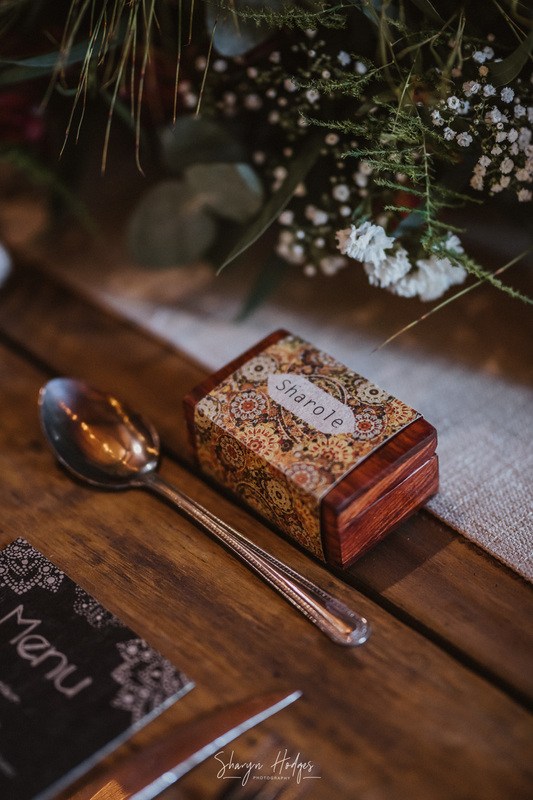 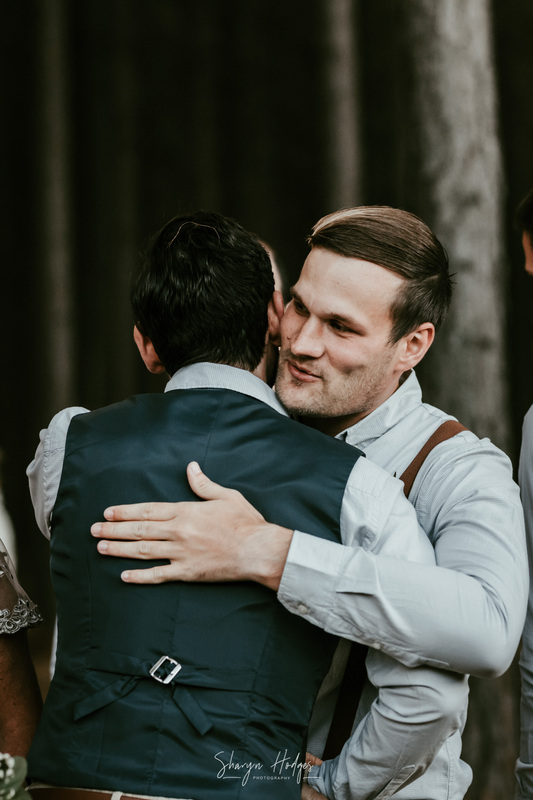 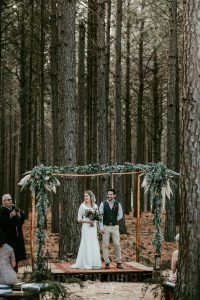 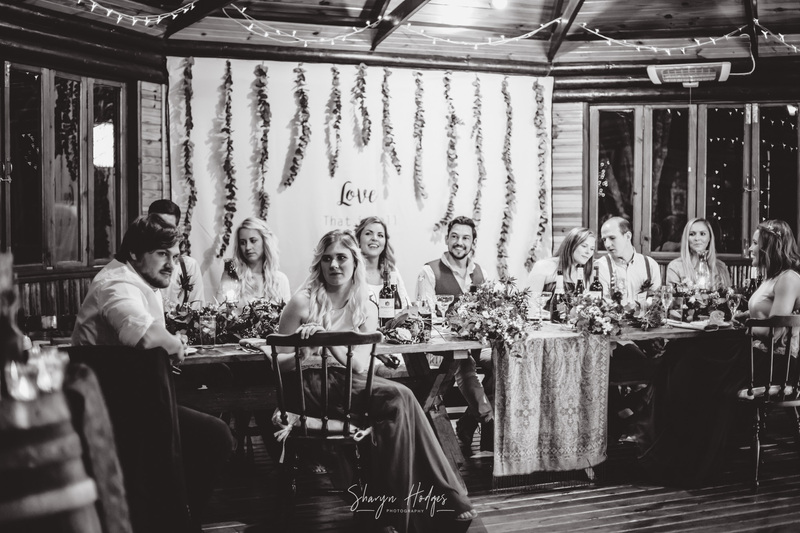 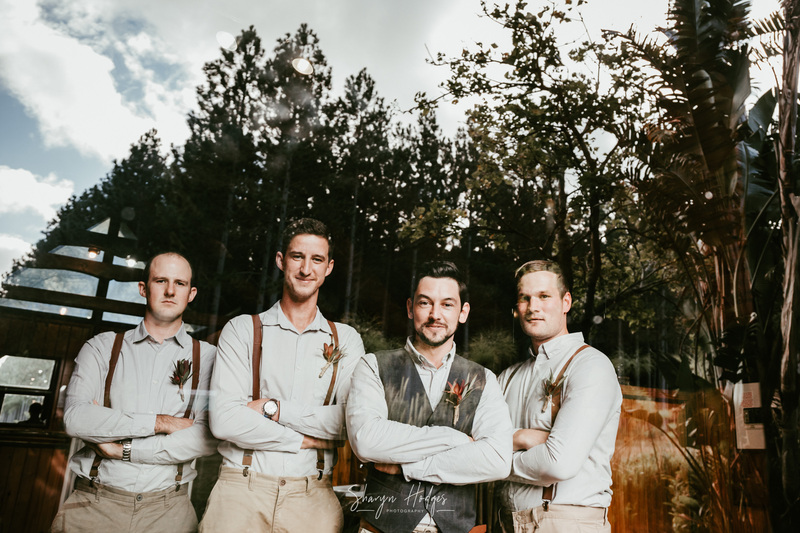 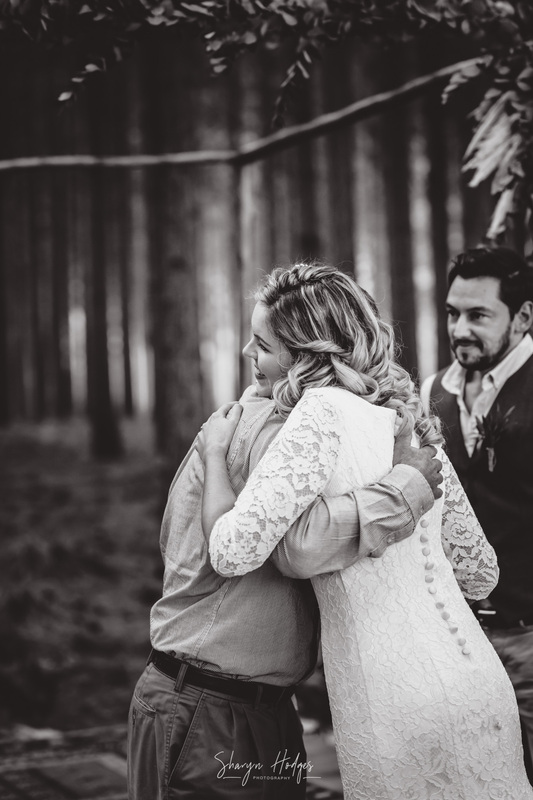 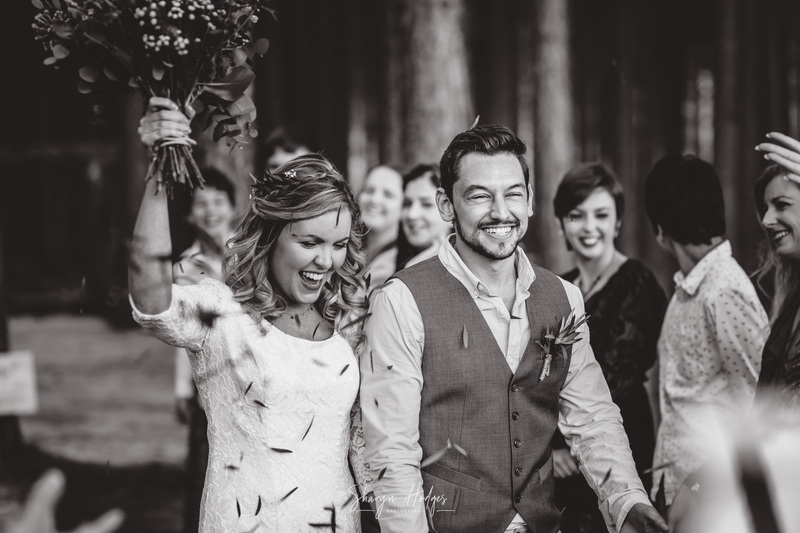 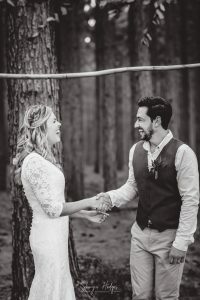 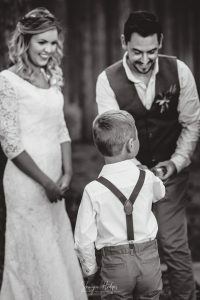 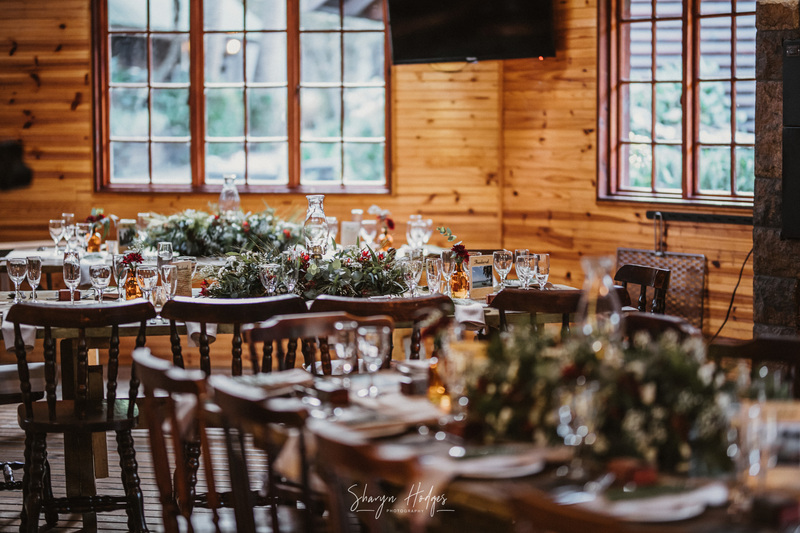 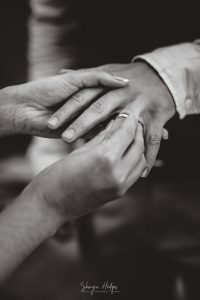 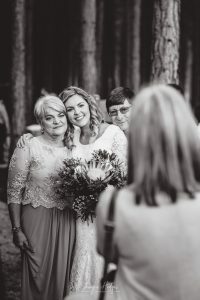 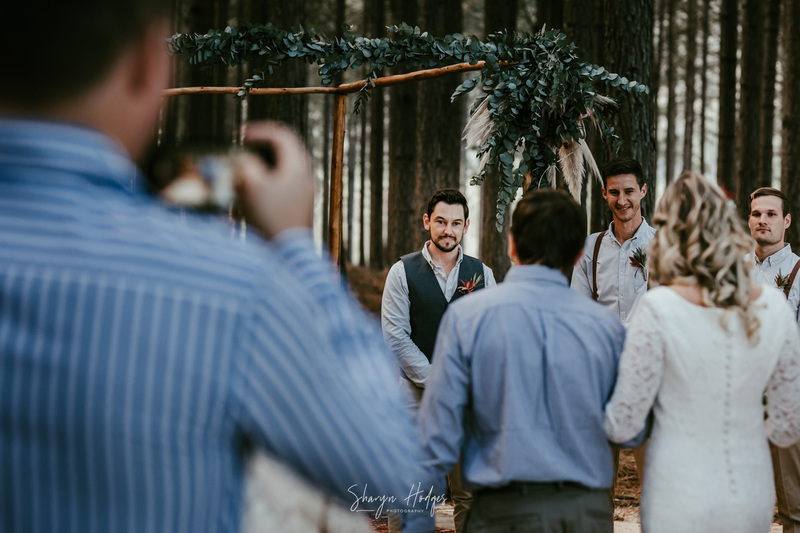 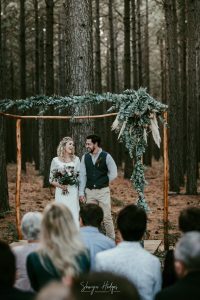 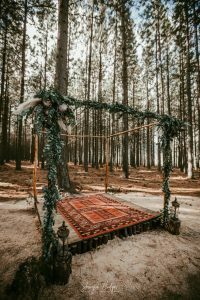 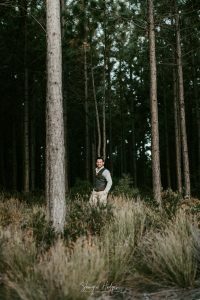 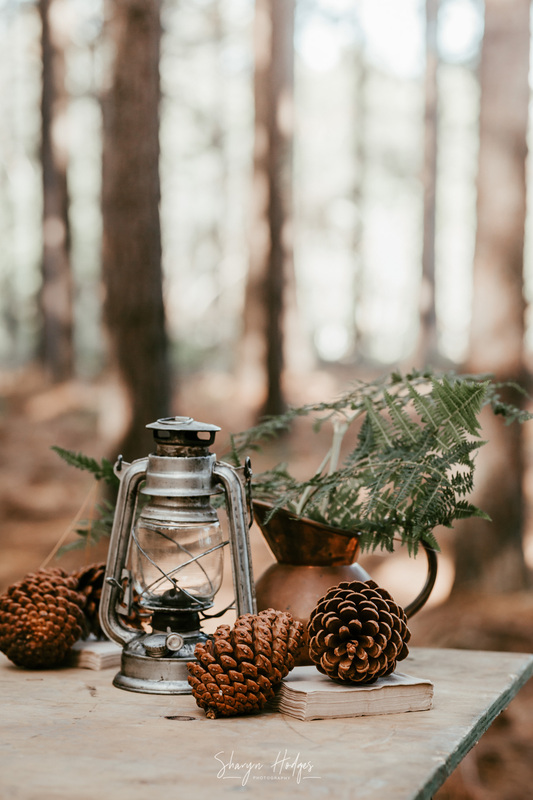 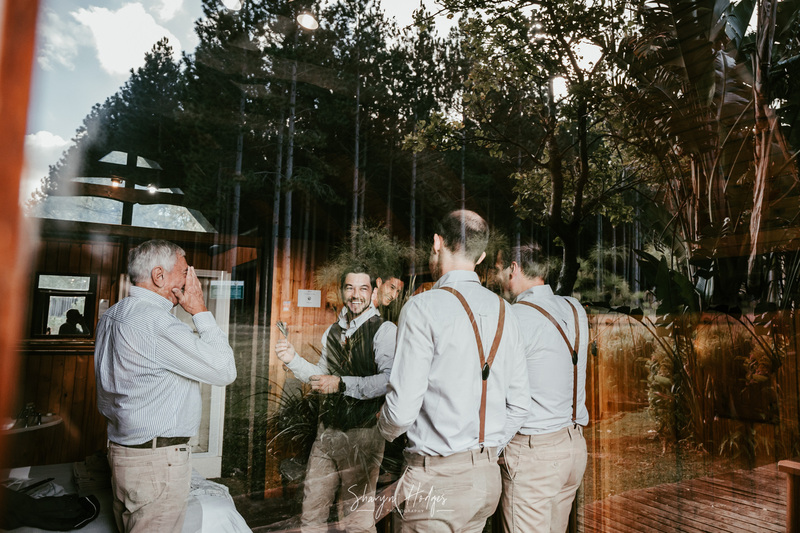 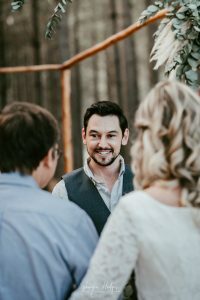 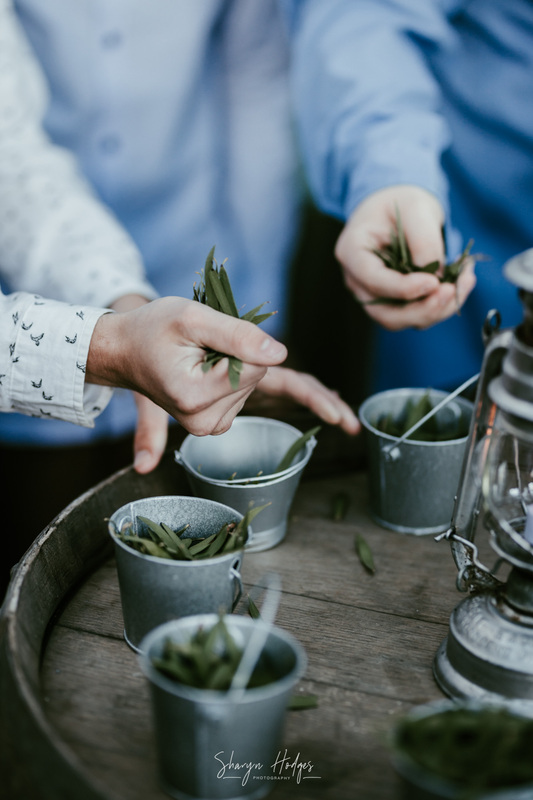 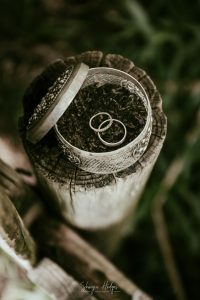 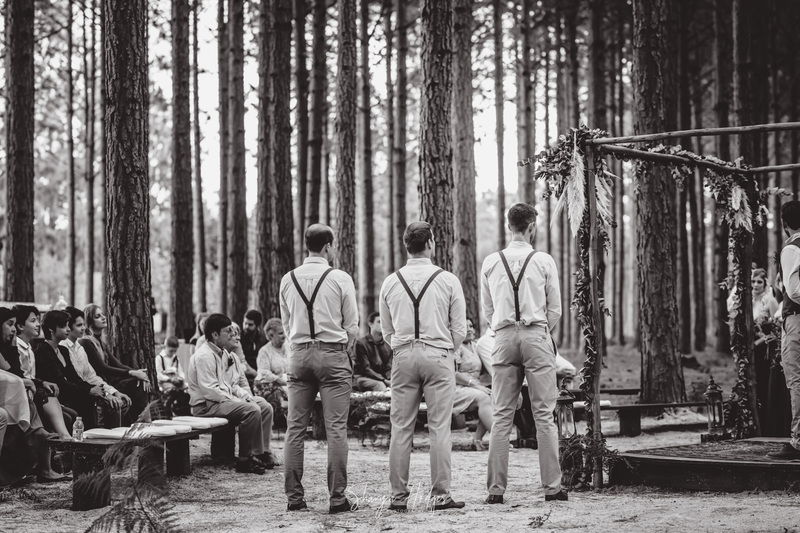 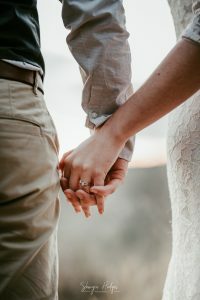 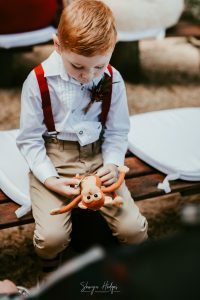 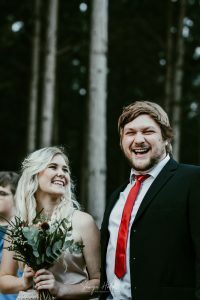 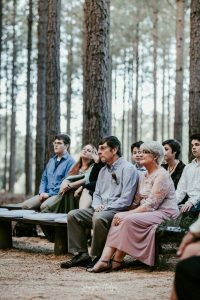 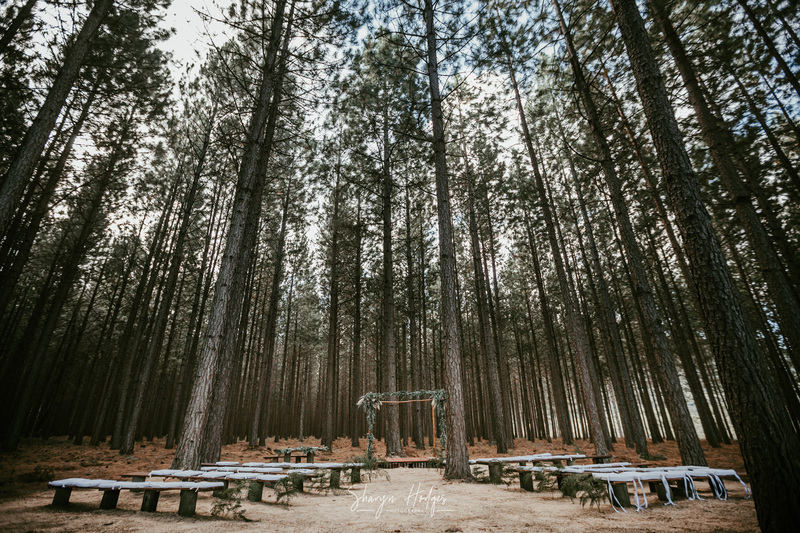 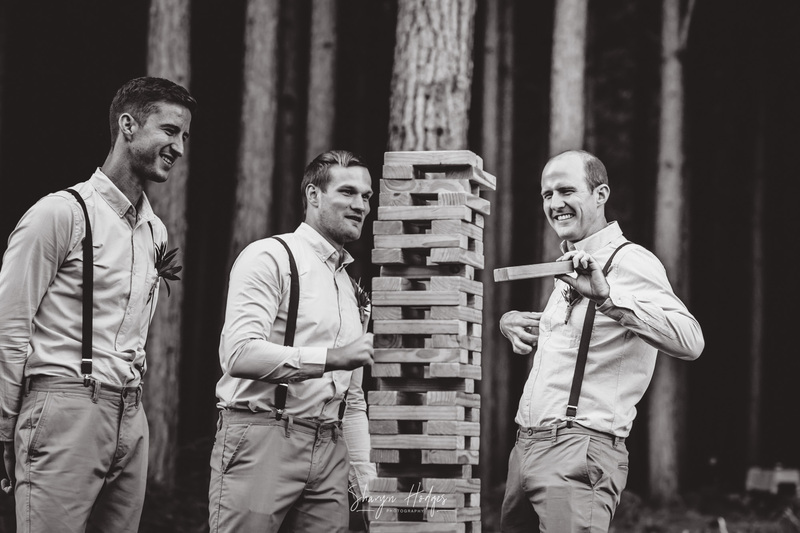 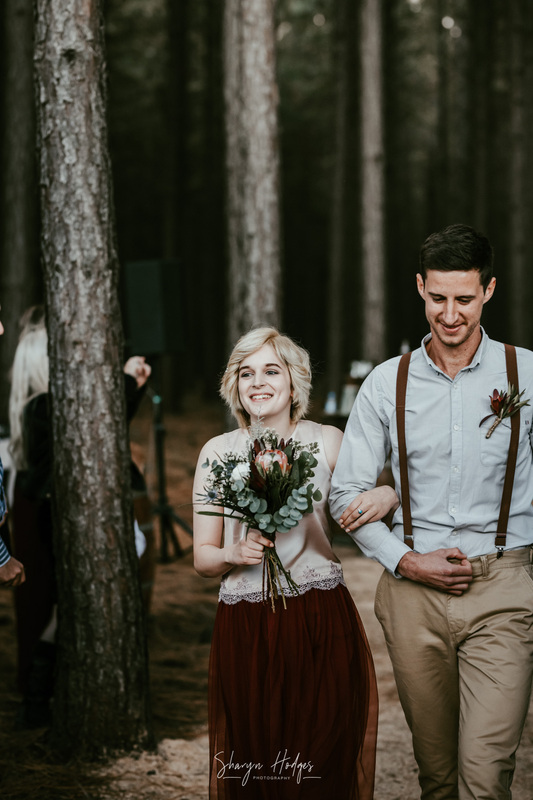 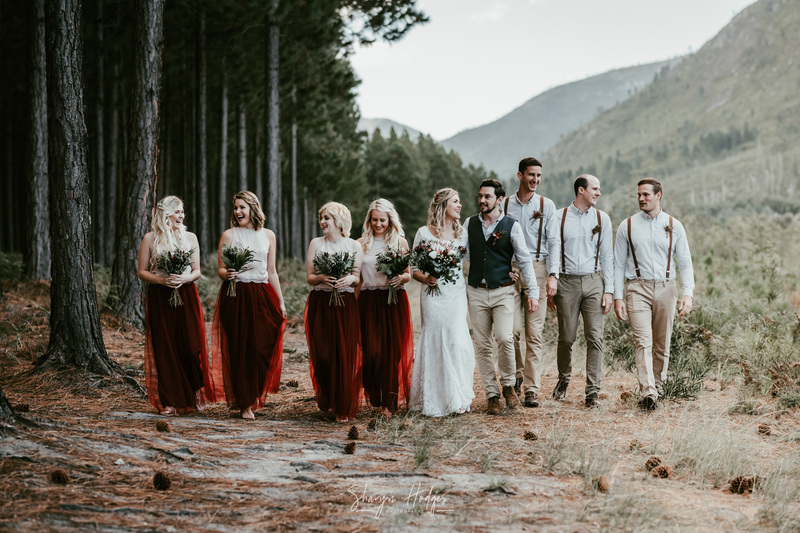 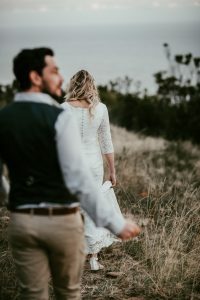 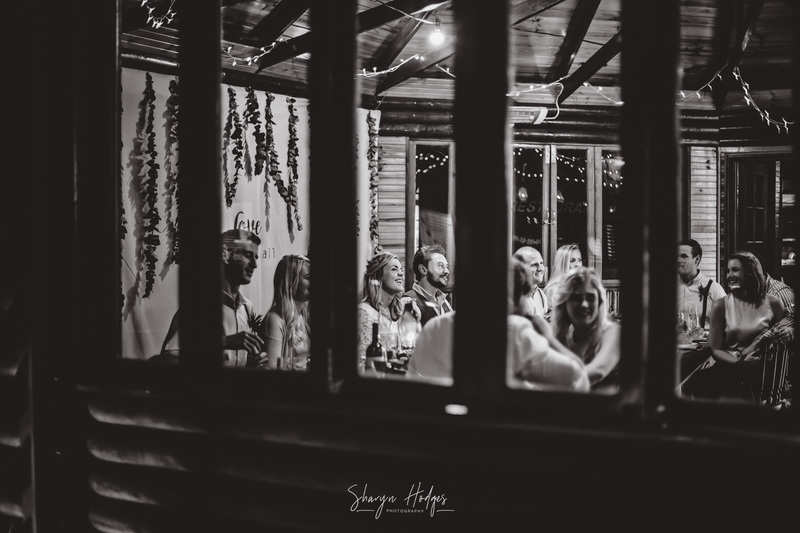 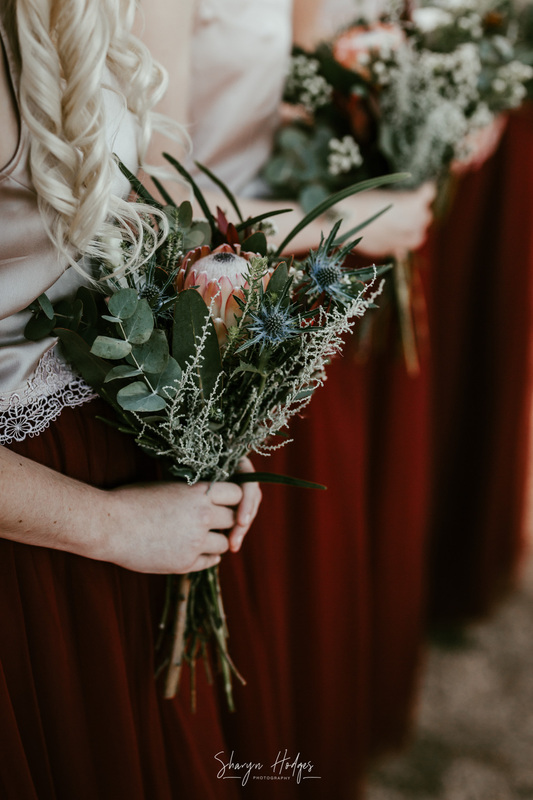 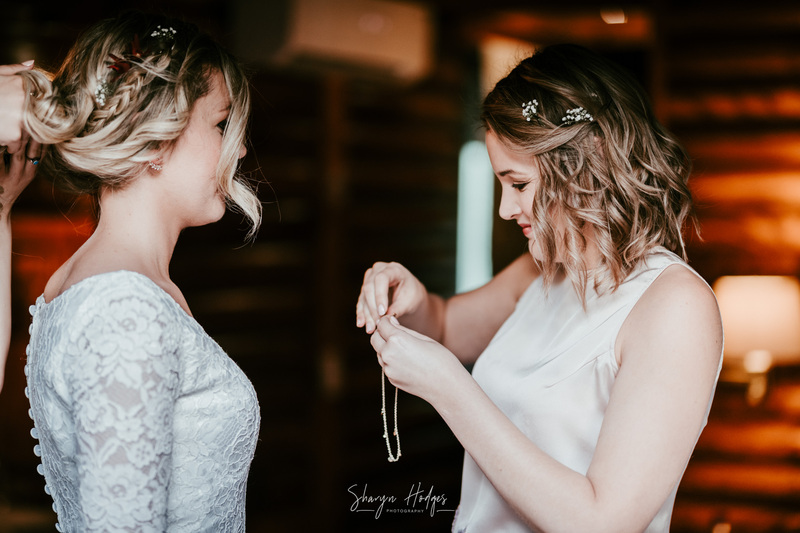 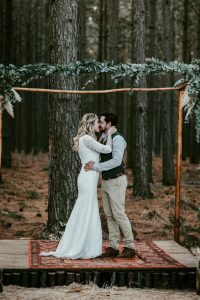 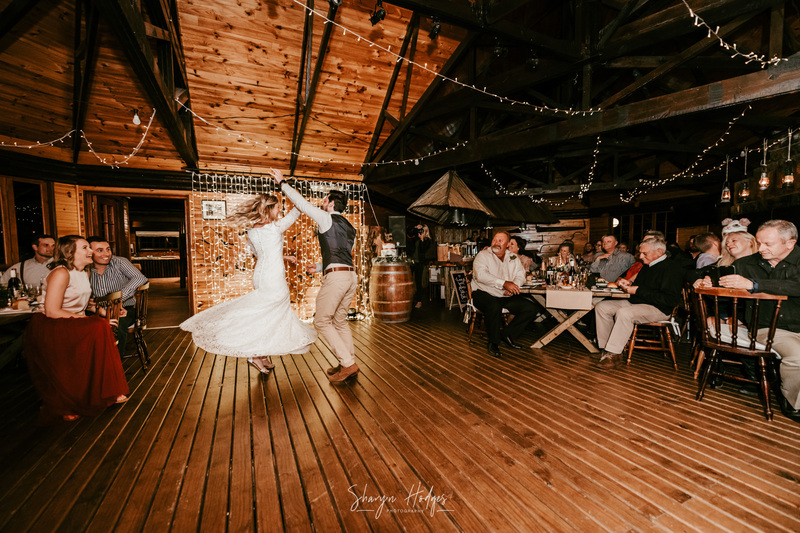 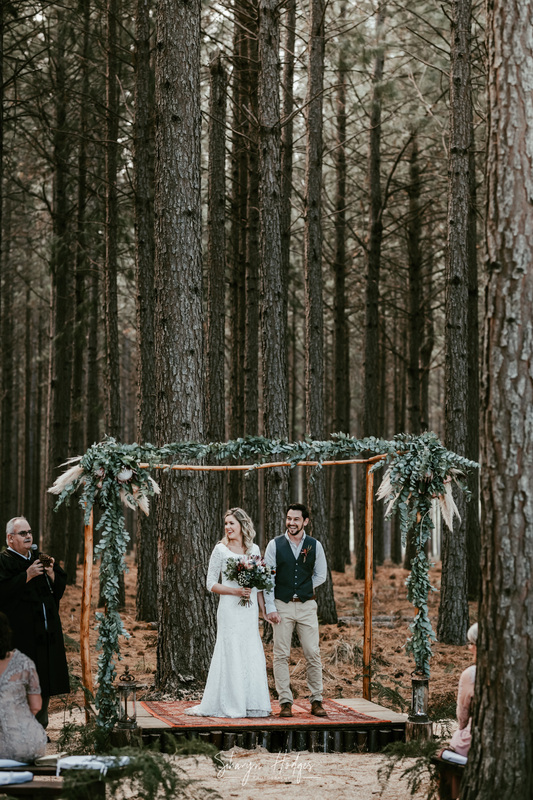 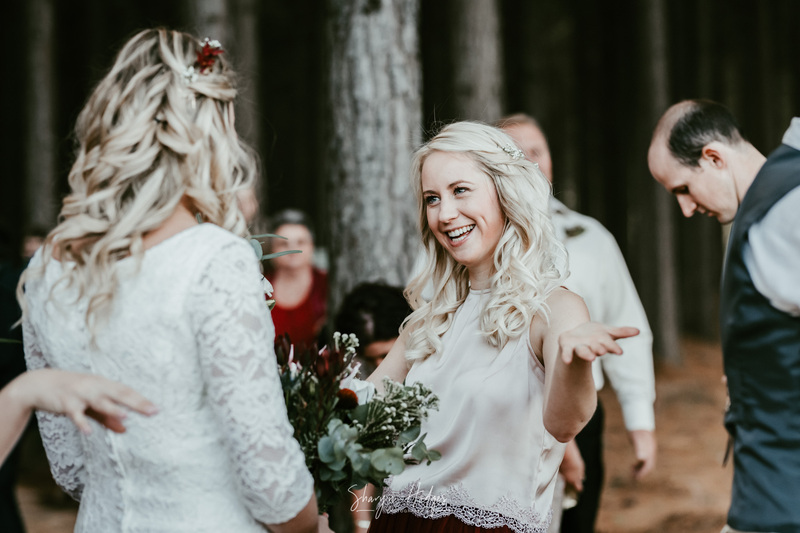 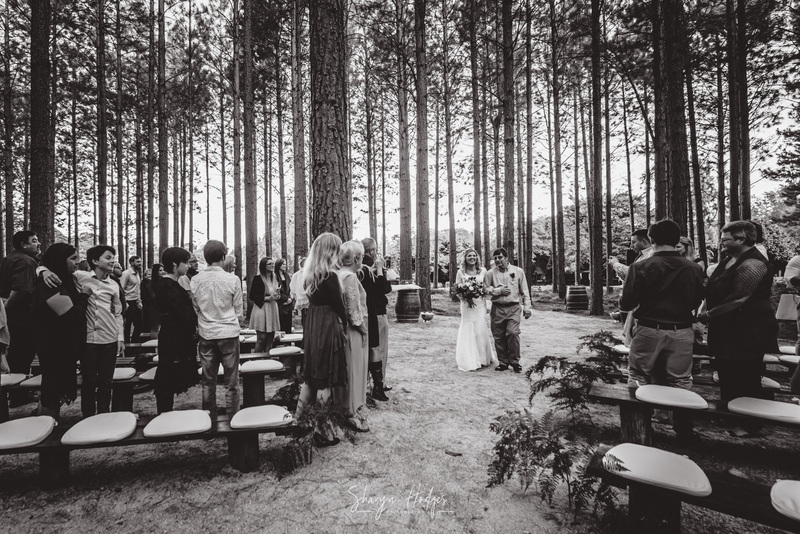 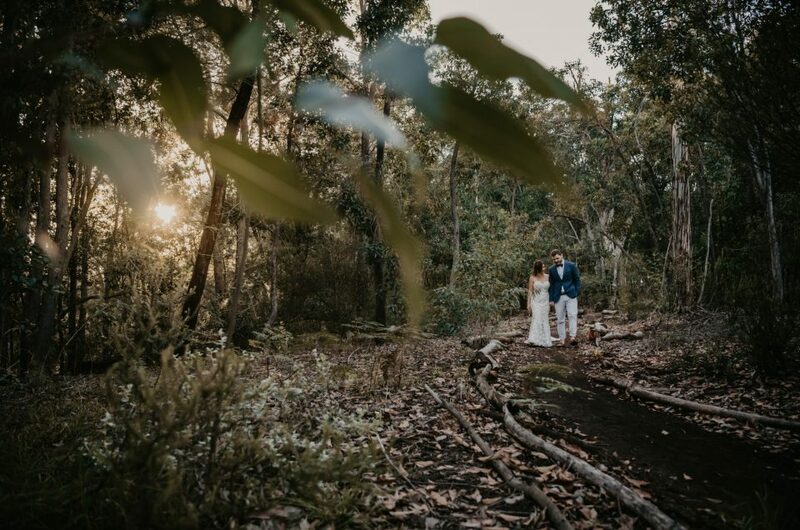 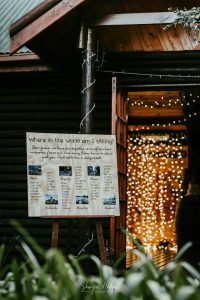 What a wonderful location, the ceremony takes place amongst the tall pine tress and you are surrounded by nothing but your friends and family. Sam you looked absolutely breathtaking walking down the isle with your dad and Ivan emotions were something I will never forget, the love story continues. 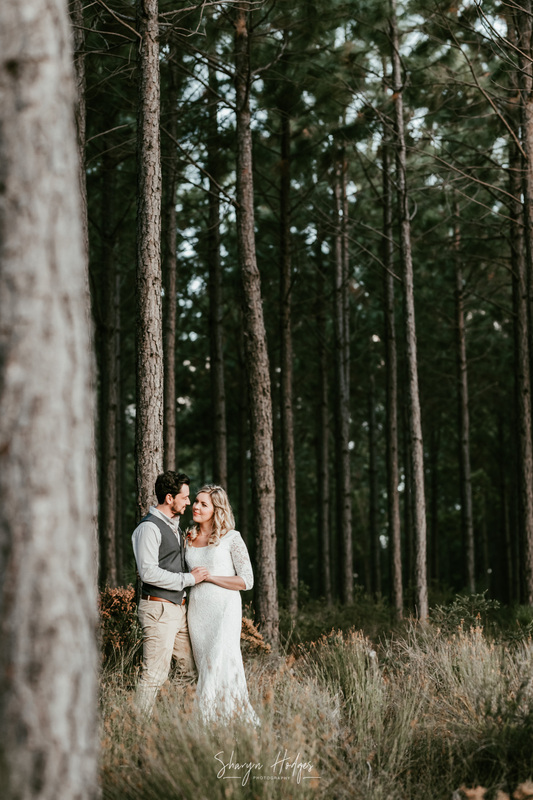 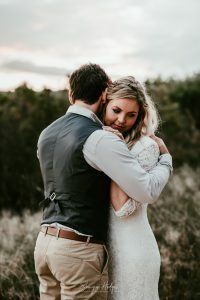 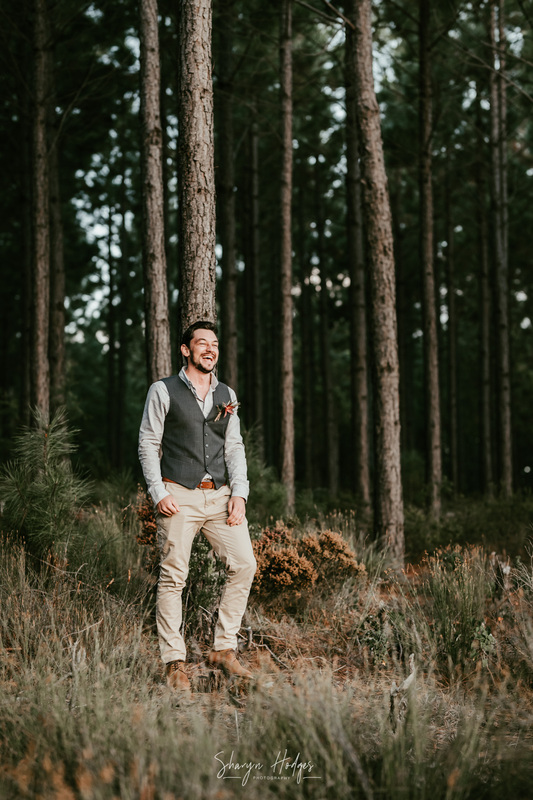 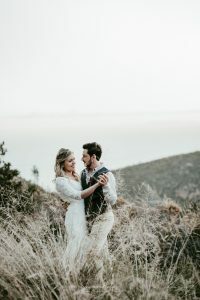 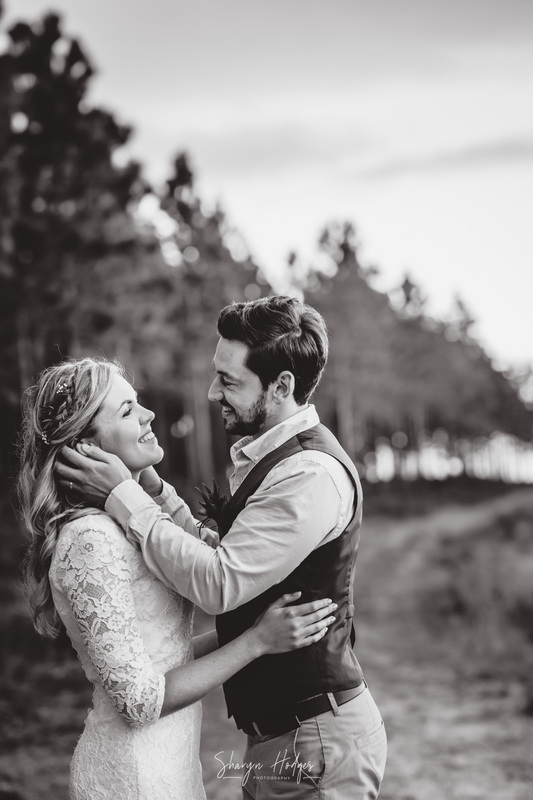 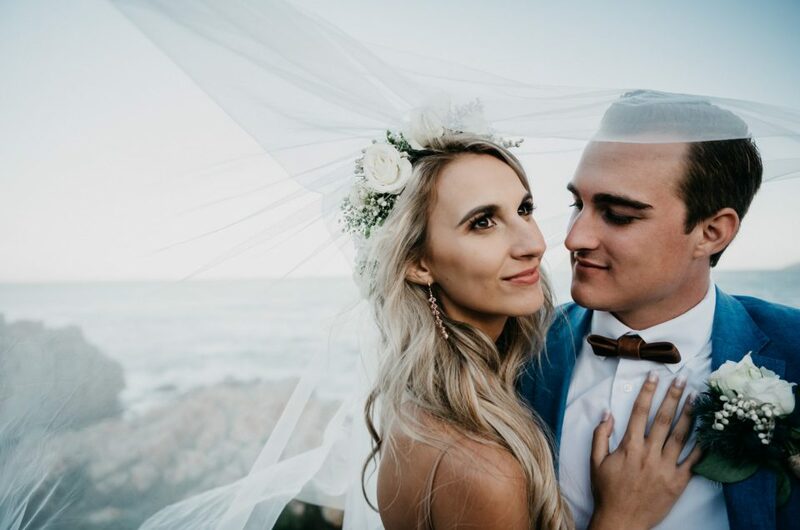 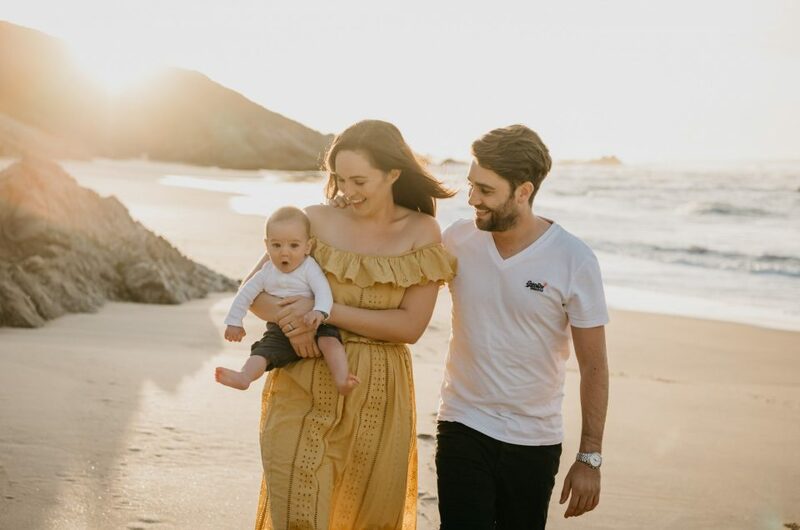 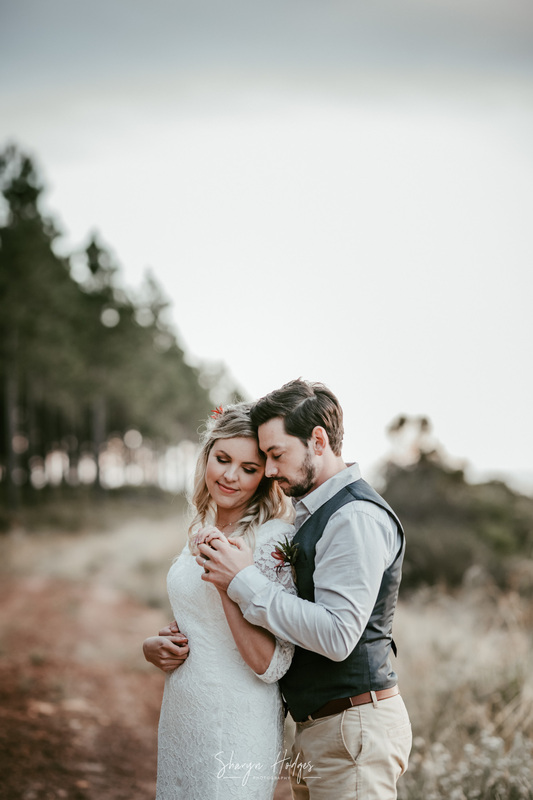 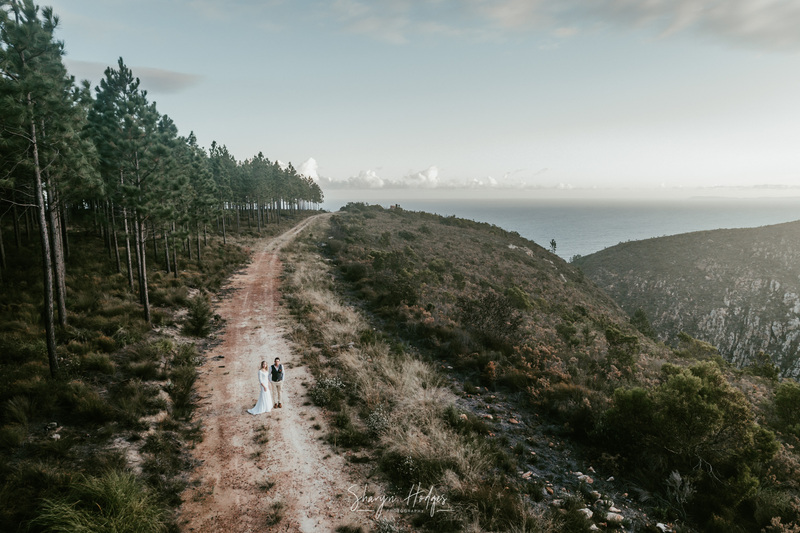 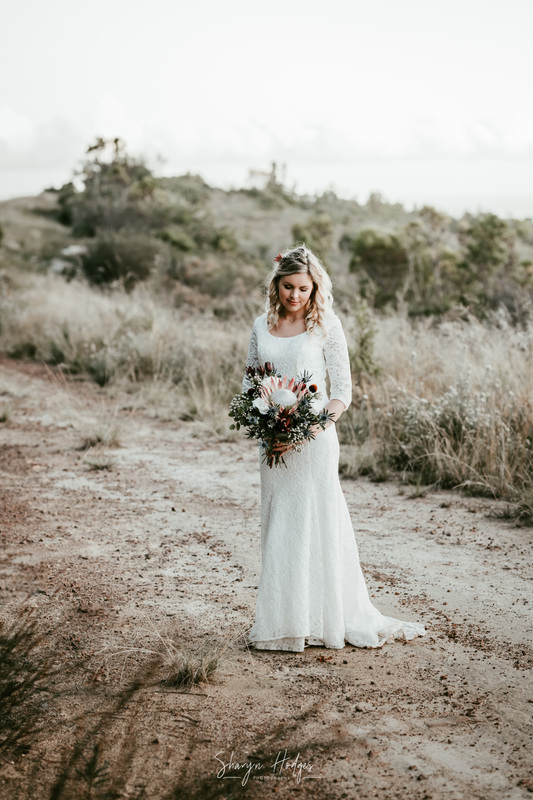 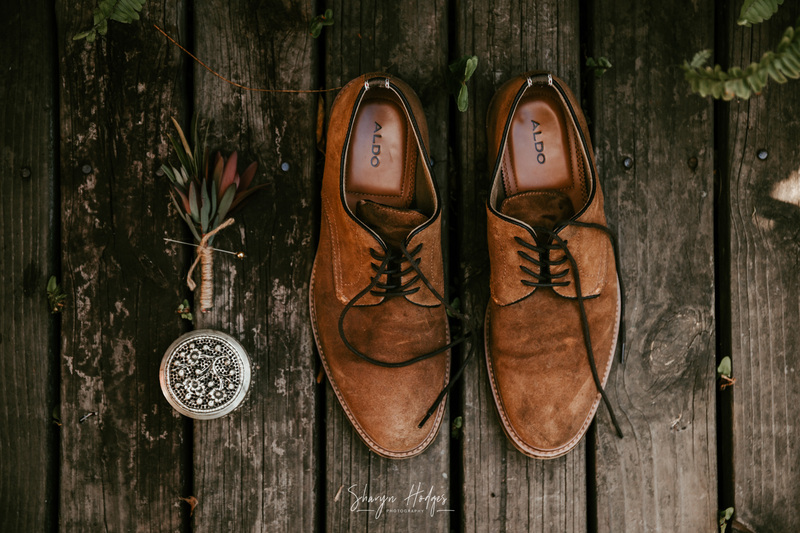 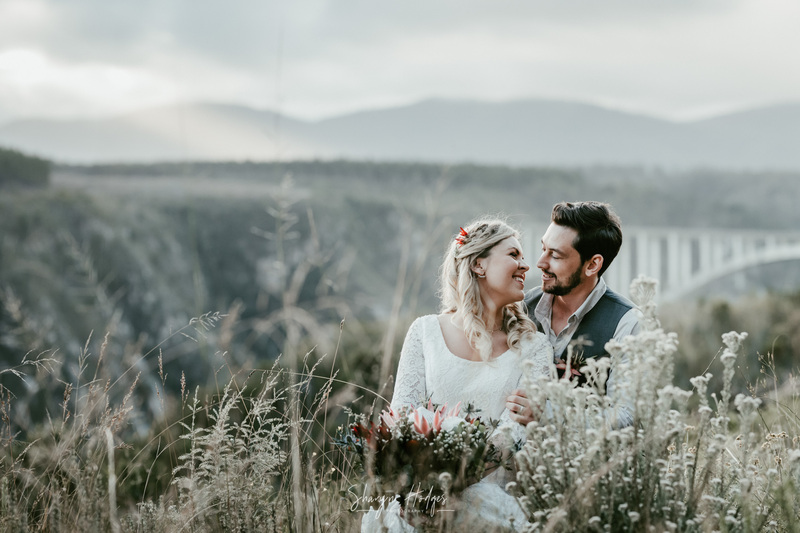 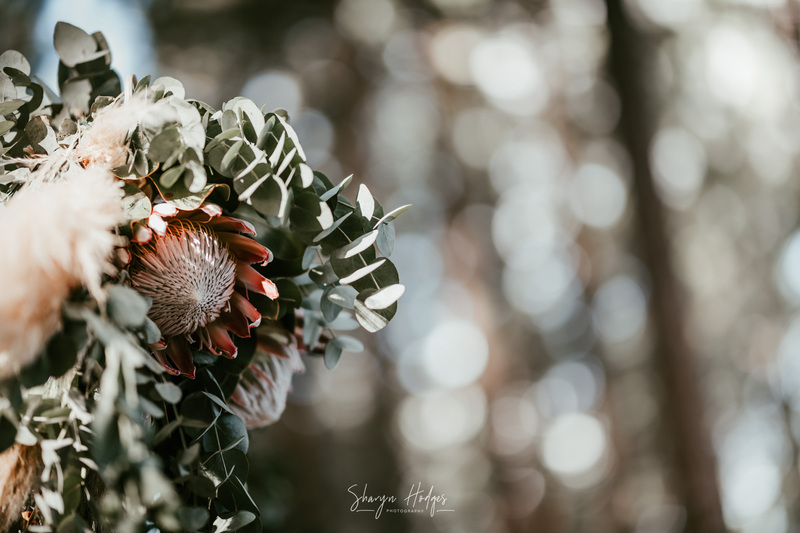 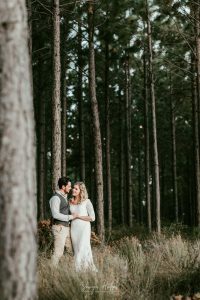 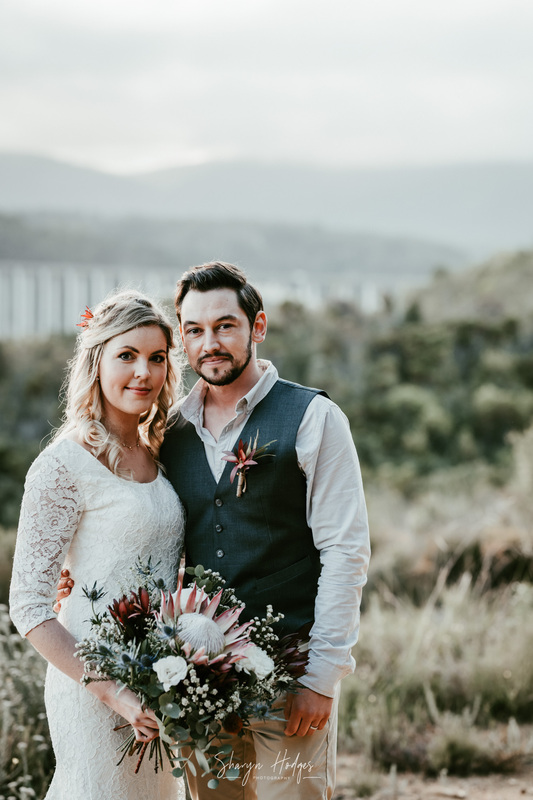 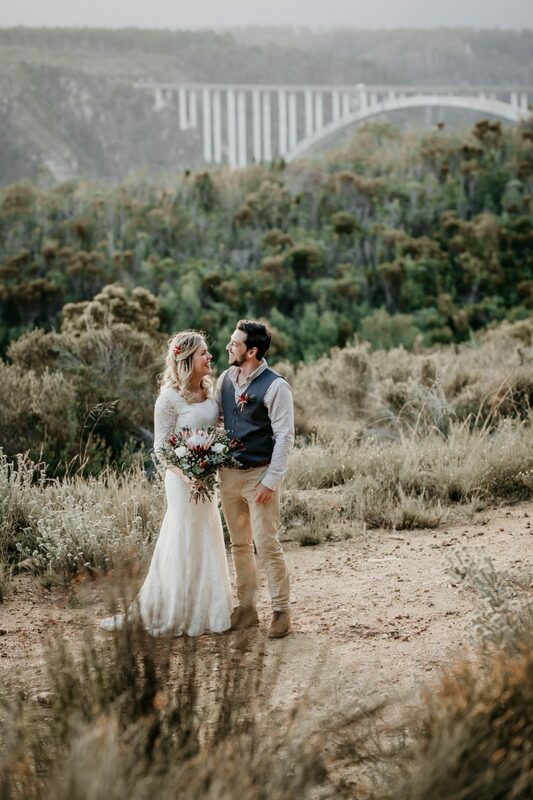 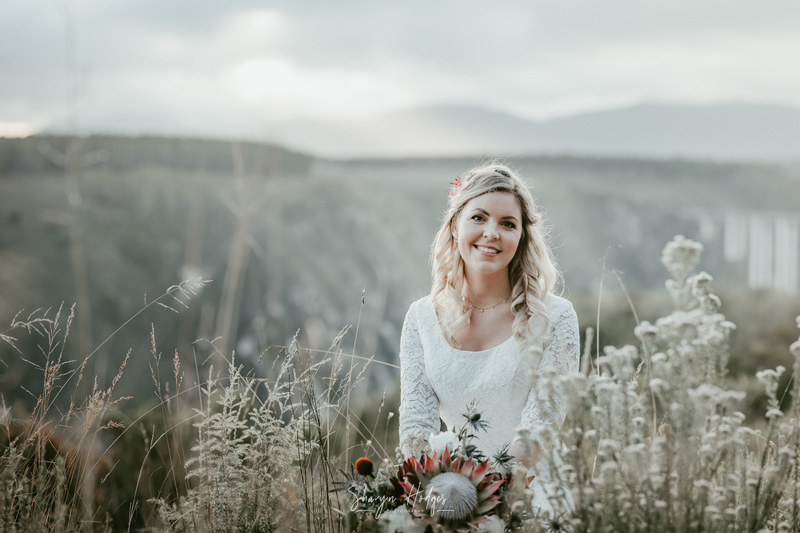 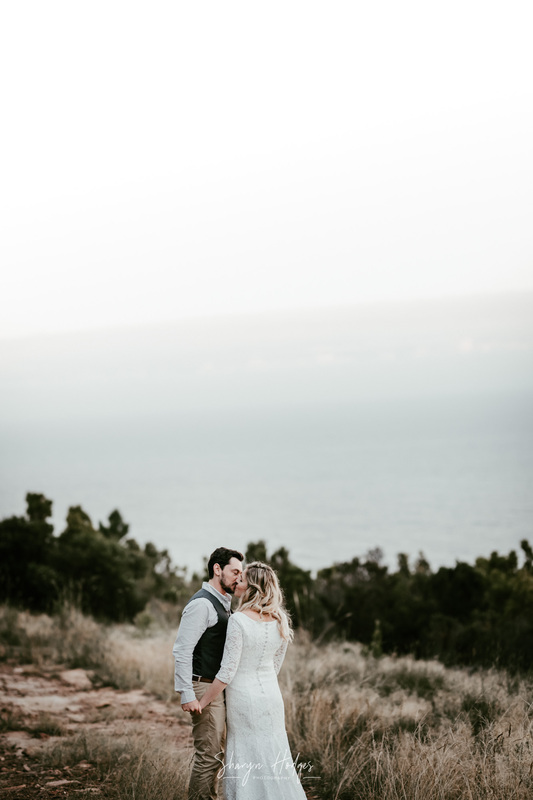 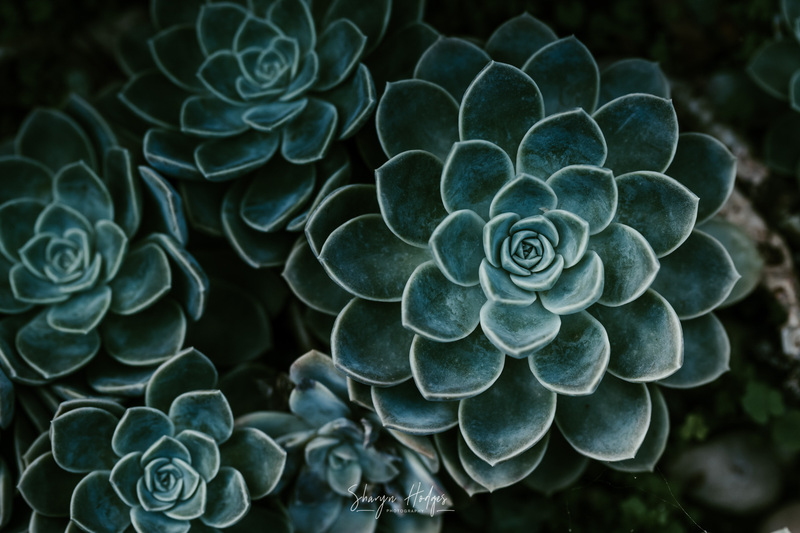 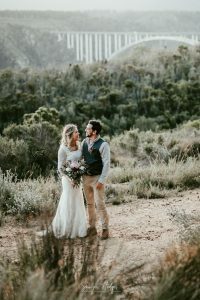 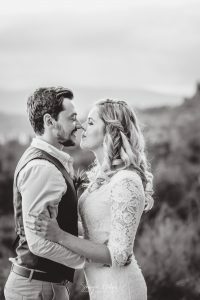 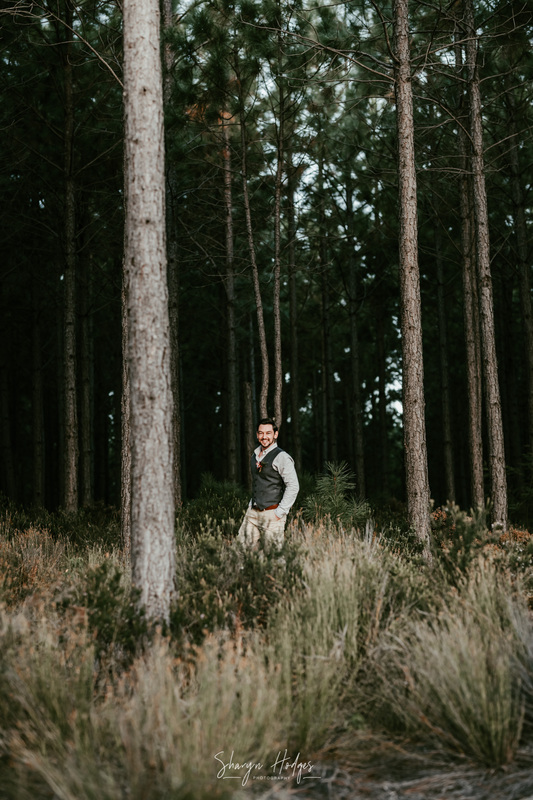 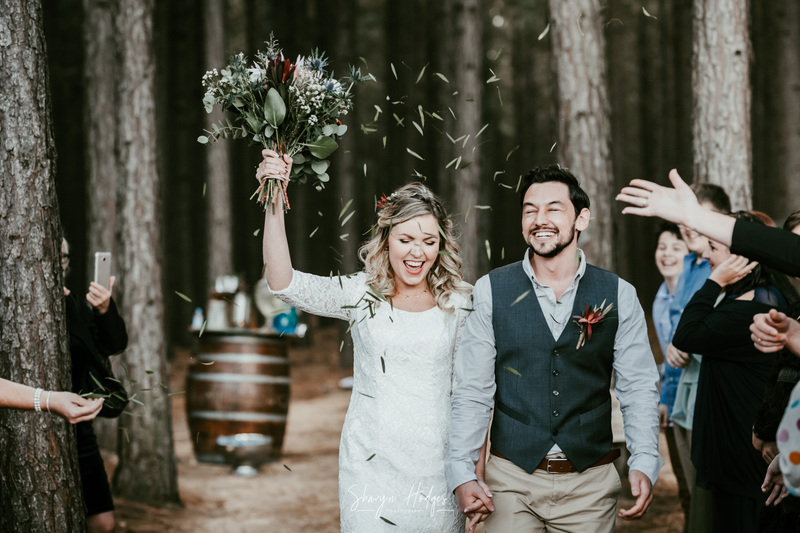 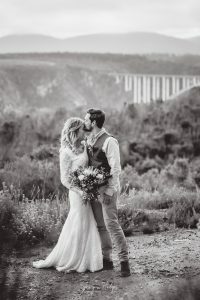 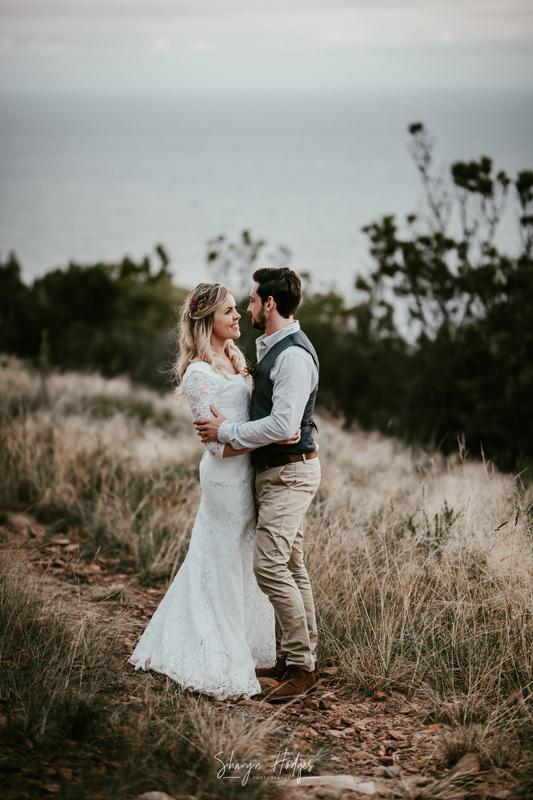 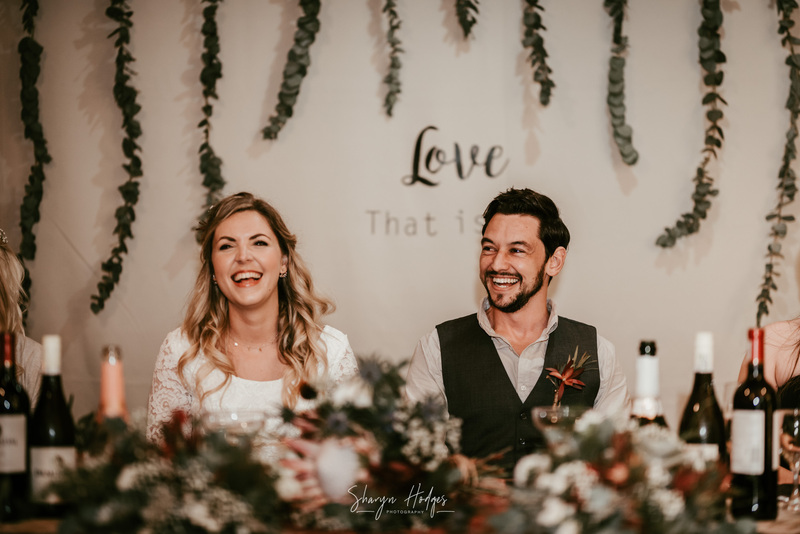 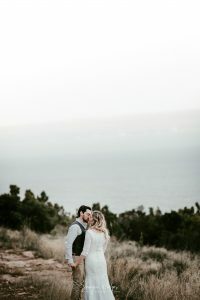 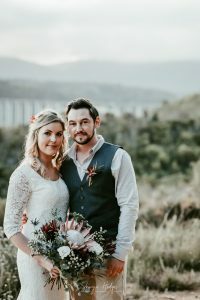 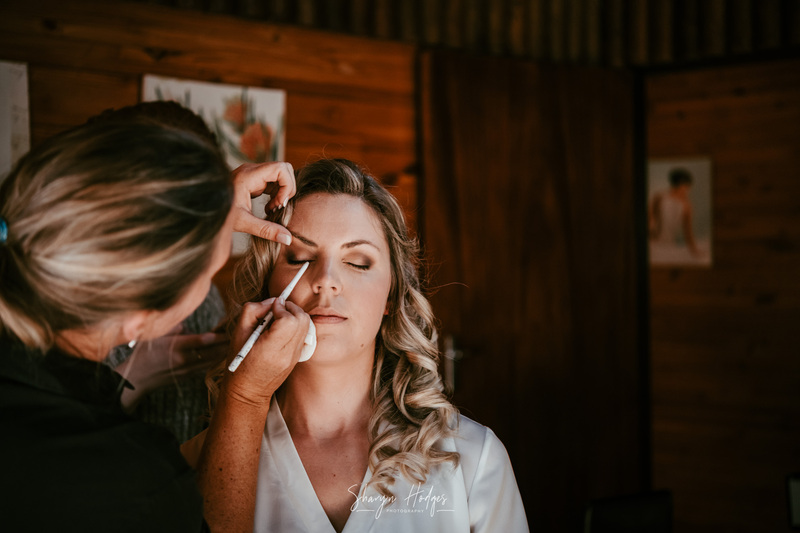 With time against us as if light were life we raced to our couple location and even though we missed some of it, the bloukrans bridge and surrounds were the perfect location for us. 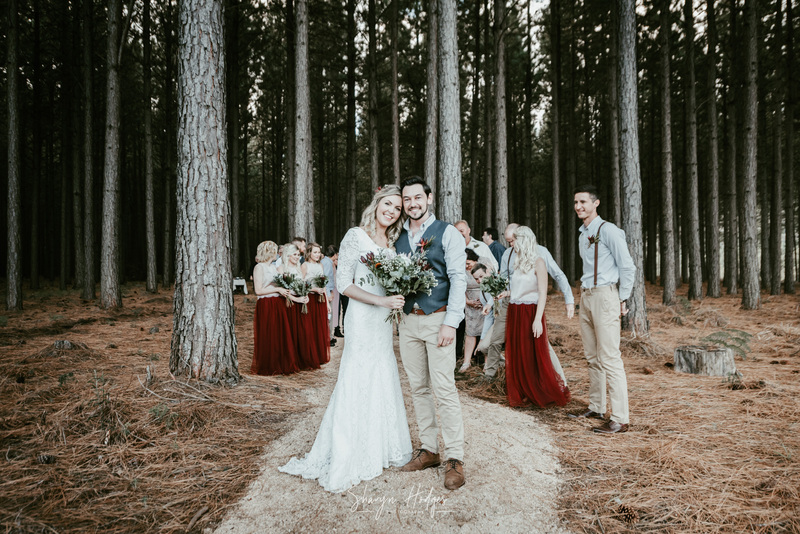 Ivan used his farm boy skills to navigate through some tricky muddy puddle situations, but the beast made it and we created some awesome moments. 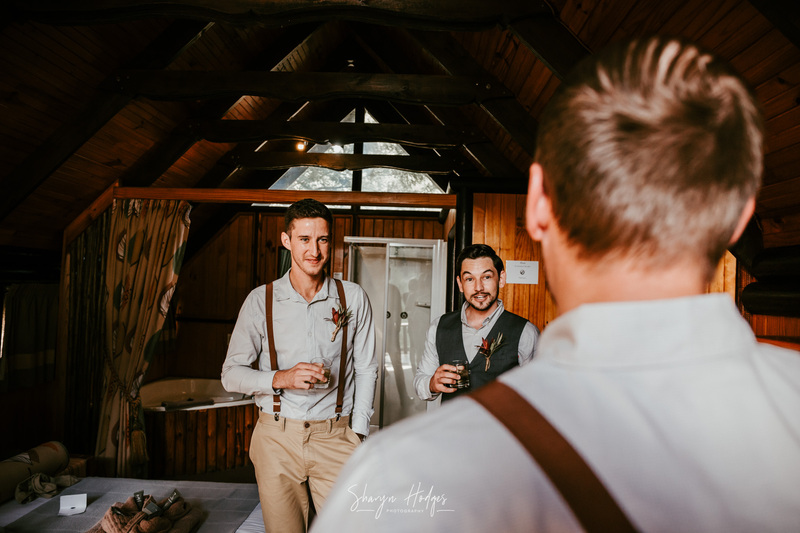 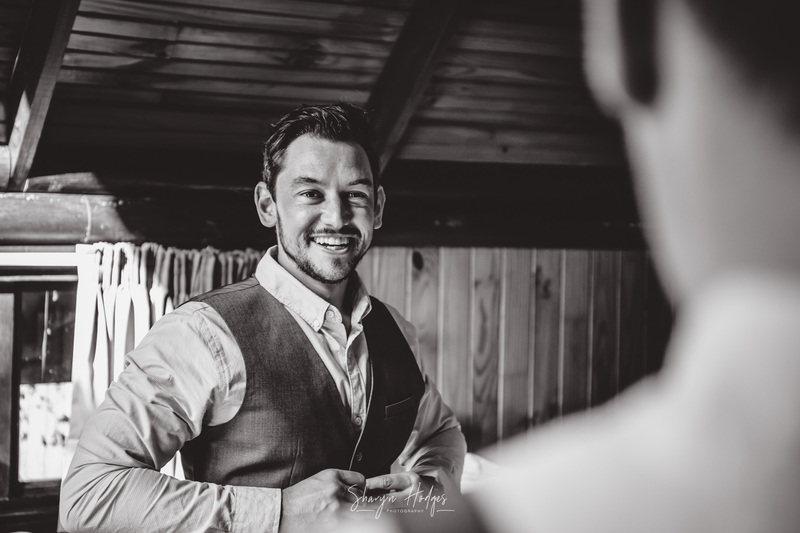 Sam & Ivan, it has been such a pleasure getting to know you both, even though its been through social media, Skype and finally your wedding day. 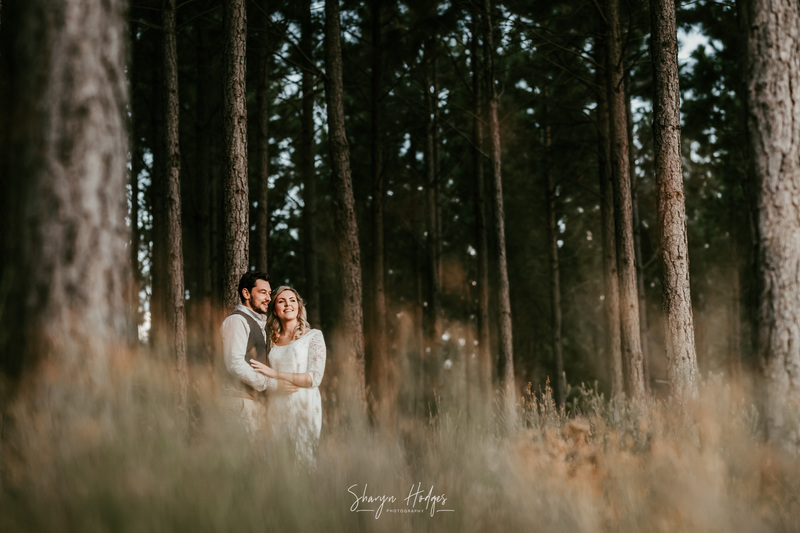 Looking forward to when you both return to South Africa so that we can go and do a photo mission!